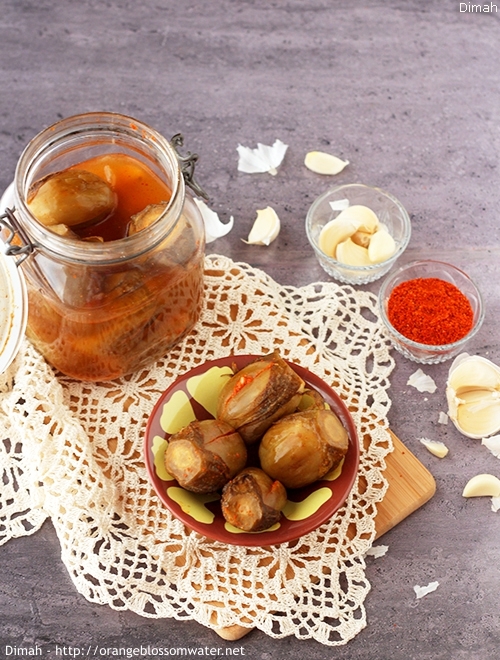 It is the season of vegetables that are main ingredients of many Syrian dishes, one example is Eggplant (Bathenjan in Arabic). It is the time to make Makdous Al-Bathenjan, Mrabba Al-Bathenjan, Mrabba Al-Bathenjan Al-Halabi, and Mkhallal Al-Bathenjan (eggplant pickle). 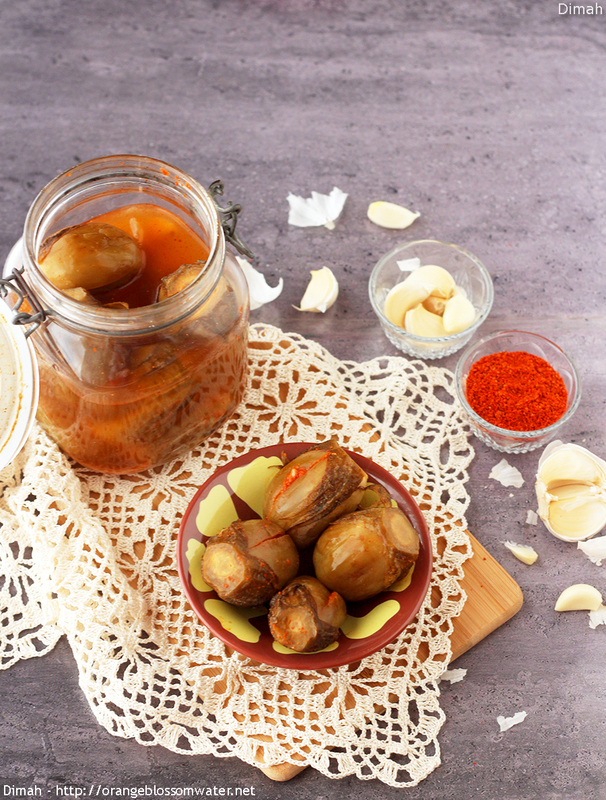 Mkhallal Al-Bathenjan is prepared by stuffing baby eggplants with a mixture of chopped ground red pepper and garlic then preserved in brine. It is normally eaten with savory dishes.